The Saudi Arabia in-vitro diagnostics (IVD) market was worth US$ 650 Million in 2018. Saudi Arabia currently represents the largest market for in-vitro diagnostics in the GCC region. In-vitro diagnostics, plays a significant role in in the Saudi Arabia healthcare system by providing accurate diagnosis and prognosis, which enables improved monitoring and treatment. Diagnostics represent only a small share of the total healthcare spending but are critical in medical decision making and reducing the burden of diseases and healthcare expenditures. There has been a steady growth in the adoption of in-vitro diagnostics in Saudi Arabia. Increasing incidence rates of various infectious and chronic diseases represent some of the key drivers of the in-vitro diagnostics market in Saudi Arabia. The country’s population is currently around 33 Million and is growing annually at around 2%. According to Saudi Arabia’s General Authority of Statistics, elderly constituted 4.2% of the total Saudi population and are expected to increase further in the coming years. With an increasing elderly population, we expect the prevalence of a number of chronic diseases to increase significantly in the next few years. Moreover, catalyzed by rising physical inactivity and consumption of unhealthy diets, the prevalence of a number of lifestyle diseases have been increasing in the country. Saudi Arabia has one of the highest rates of obesity in the world. It is estimated that around 36% of the total population are obese. Additionally, the prevalence of hypertension was around 29% among males and around 24% among females. Saudi Arabia also has one of the highest prevalence of diabetes with around 19% of the adult population suffering from diabetes in the country. Some of the other factors catalyzing the growth of in-vitro diagnostics in Saudi Arabia include rising healthcare expenditures, improving healthcare infrastructure, initiatives by the government, rising awareness levels, etc. Looking forward, the market is further projected to reach a value of US$ 1,020 Million by 2024, growing at a CAGR of around 8% during 2019-2024. On the basis of application, the market has been segmented into infectious diseases, diabetes, blood test, nephrology, cardiology, oncology, autoimmune diseases and others. The report also provides the competitive landscape and the profiles of key players operating in this market. This report provides a deep insight into the Saudi Arabia in-vitro diagnostics (IVD) devices market covering all its essential aspects.  This ranges from macro overview of the market to micro details of the industry performance, recent trends, key market drivers and challenges, SWOT analysis, Porter’s five forces analysis, value chain analysis, etc. This report is a must-read for entrepreneurs, investors, researchers, consultants, business strategists, and all those who have any kind of stake or are planning to foray into the Saudi Arabia in-vitro diagnostics (IVD) market in any manner.